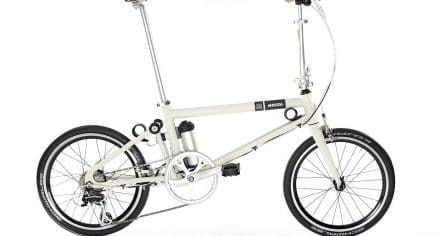 Outstanding quality of manufacture at a very affordable price, the Raleigh Stow-E-Way ticks all the boxes! The powerful 45NM rear wheel motor will quickly get you up to speed and provide the assistance to get you around town efficiently. 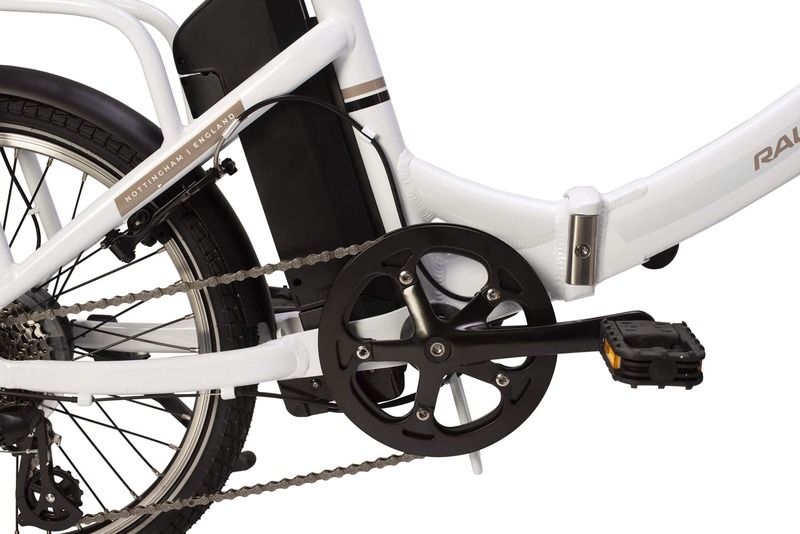 The TranzX system has 4 support levels so you can decide how hard you want to work and the motor will assist you up to a speedy 15mph. Motor systems from TransX benefit from new communications technology, which ensures that the motor maximises the battery range, and will allow your dealer to set the bike up for you via a USB link. 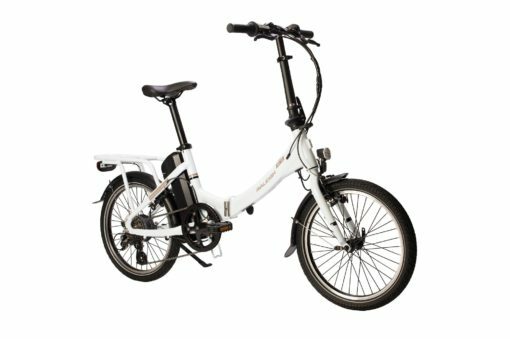 Handle-mounted power controls are placed close to the grips, so you can easily select from the power levels, and use the speed button to give you an extra boost for hills or when you’re late for work! 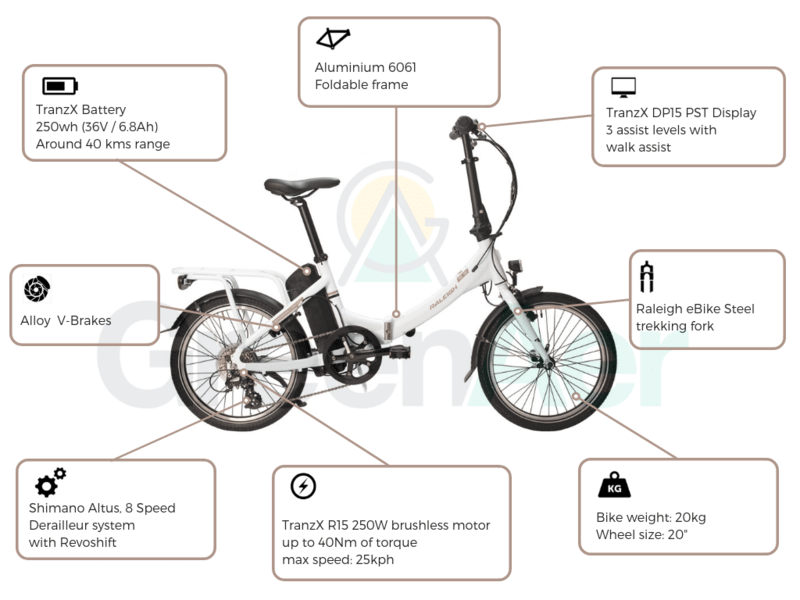 The 260wh battery will provide a range of up to 50km* and its small size means it can easily be removed and charged away from the bike. 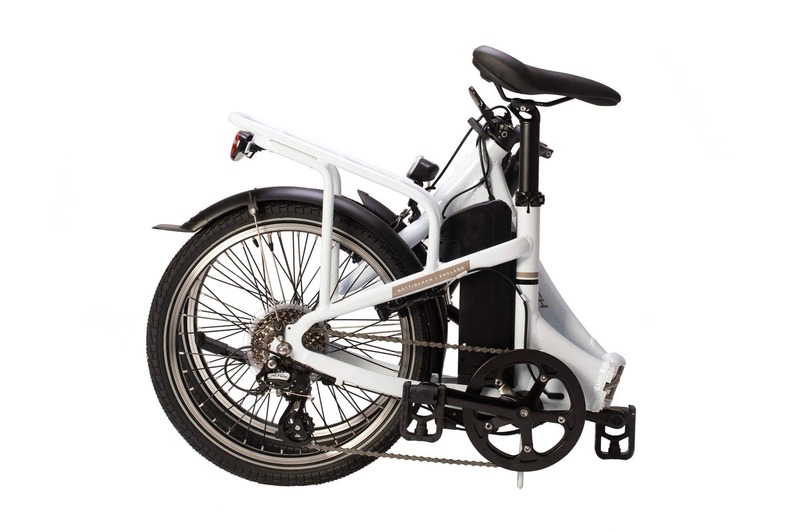 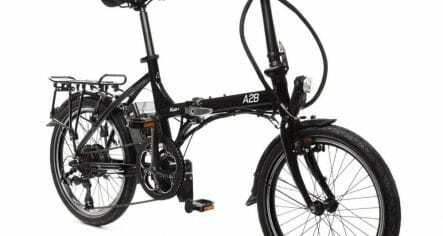 The folding frame, handlebar and pedals mean the bike can be folded to a convenient 880mm x 800mm x 440mm size so that you can secure it in the luggage compartment on a train or in the boot of your car. 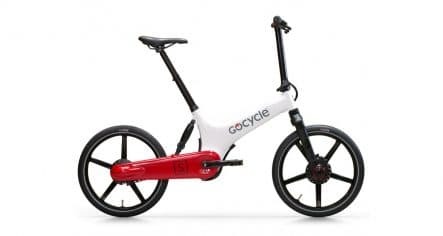 It will easily fit under the stairs or sit compactly in the corner of the room so it’s always available when you need it. The Stow-E-Way is a fully equipped bike complete with a kickstand, mudguards and a rear pannier rack meaning you will be ready to tackle whatever your journey throws at you. 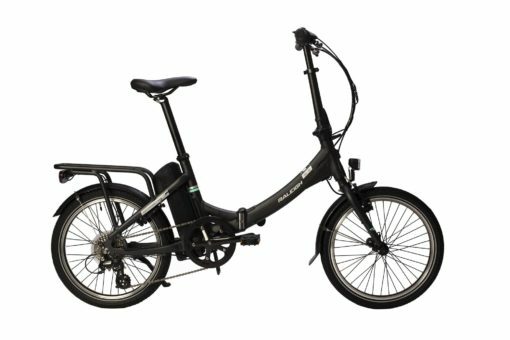 20″ diameter wheels have been specifically selected to offer the best balance between practicality and folded size; plus the reflective strip around the Kenda tyres helps you be seen and safe at night. 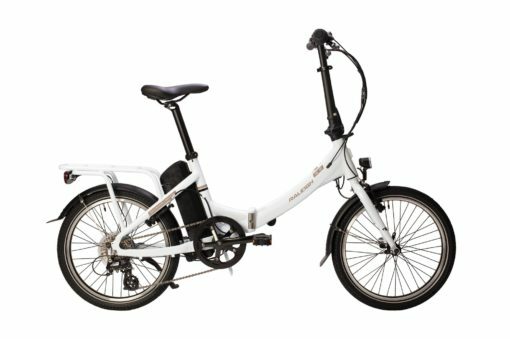 With a wide range of smooth shifting 8 speed Shimano gears, you will have both the ability to get up steep hills and zip along on the flat.